IGN - Holding hands is weird. 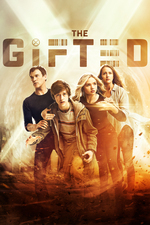 Den of Geek - The Gifted moves the plot forward and ignores pretty much everything else. Well, not perfect, but that made the previous many episodes worth it. Who's Esme working for? The white queen? I squealed when they mentioned The Hellfire Club. I'm curious how they've fared, since it seems that they're a known Mutant Terrorist Front. Did they successfully rebrand, or is membership now secret among the elites? So I'd think Esme is trying to break out her sisters - I dunno that this show could quite support a Name Brand Mutant (tm) like Emma Frost. On the other hand, the effects work to have multiple Cuckoos would be, uh.. Interesting, to say the least. But yeah, same squeal when the mentioned the Hellfire Club. This is punching just the right nostalgia buttons for me. Mutants are still owned by FOX, so if it's in a shared universe, it would probably be the rebooted Days of Future Past/Logan universe. My personal head-cannon is that this is during the Australian Outback X-Men era. They've faked their own deaths, and can come back in later seasons after falling through the Siege Perilous. That gives them the flexibility to reimagine classic characters in a way that fits better to the Gifted universe. And it also leaves room for a Jubilee/Wolverine noir spin-off in Madripoor. Get a legit Asian production company to strip out the heavy Orientalism and just leave it's pulpy ridiculous center. I don't think i can invest an hour every week in this.